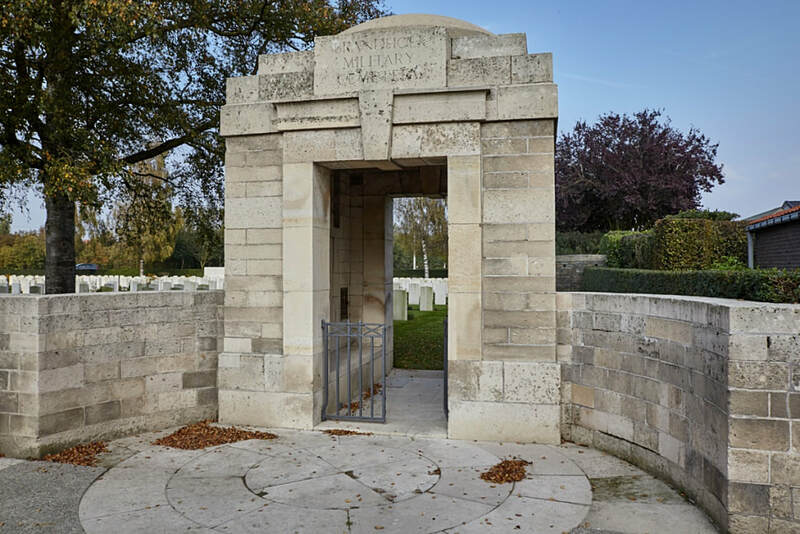 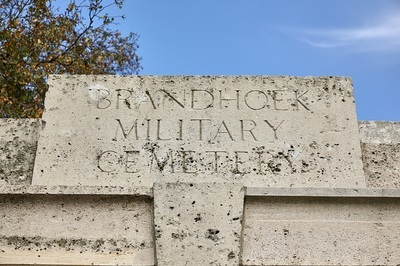 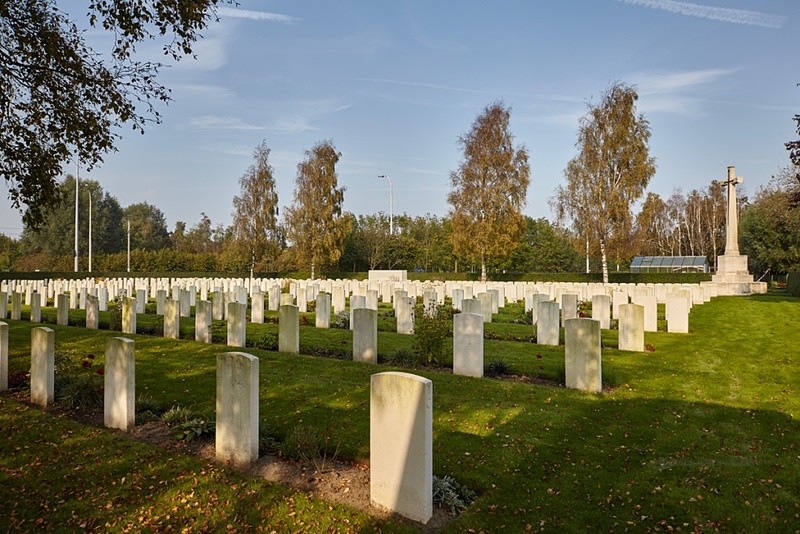 Brandhoek Military Cemetery is located 6.5 km west of Ieper town centre on the Branderstraat, a road leading from the N308 connecting Ieper to Poperinge. 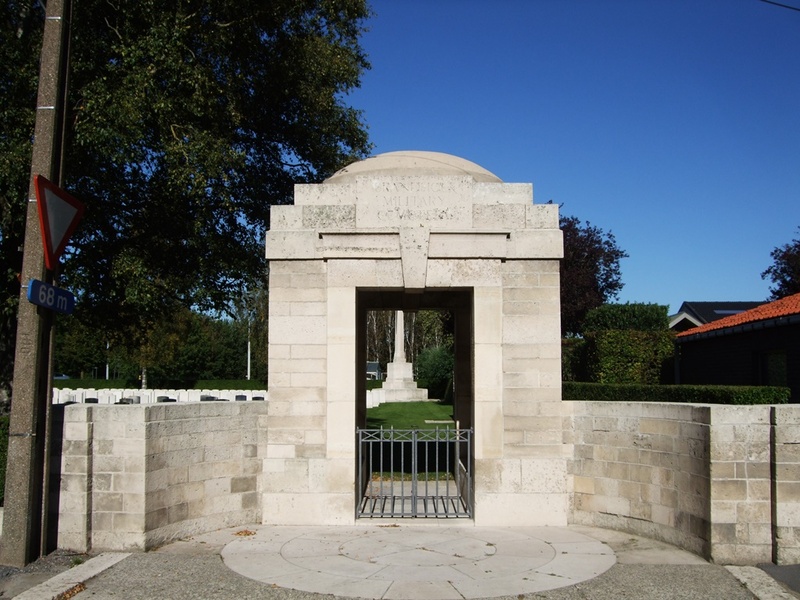 From Ieper town centre the Poperingseweg (N308) is reached via Elverdingestraat then directly over two small roundabouts in the Capronstraat. 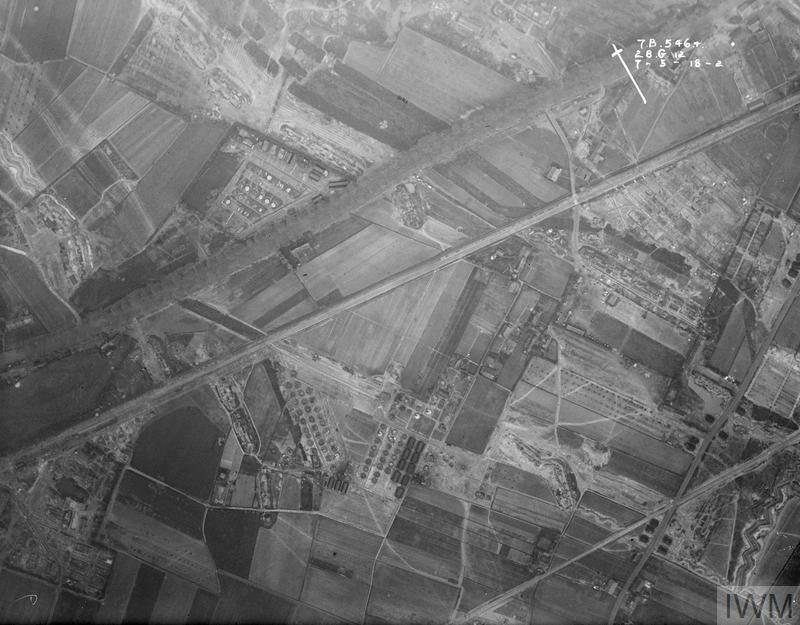 The Poperingseweg is a continuation of the Capronstraat and begins after a prominent railway level crossing. 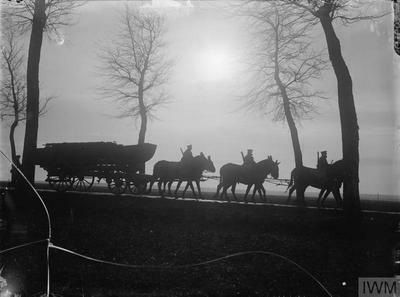 6 km along the N308, after passing the village of Vlamertinge and just beyond the church in the hamlet of Brandhoek, lies the left hand turning onto the Grote Branderstraat. 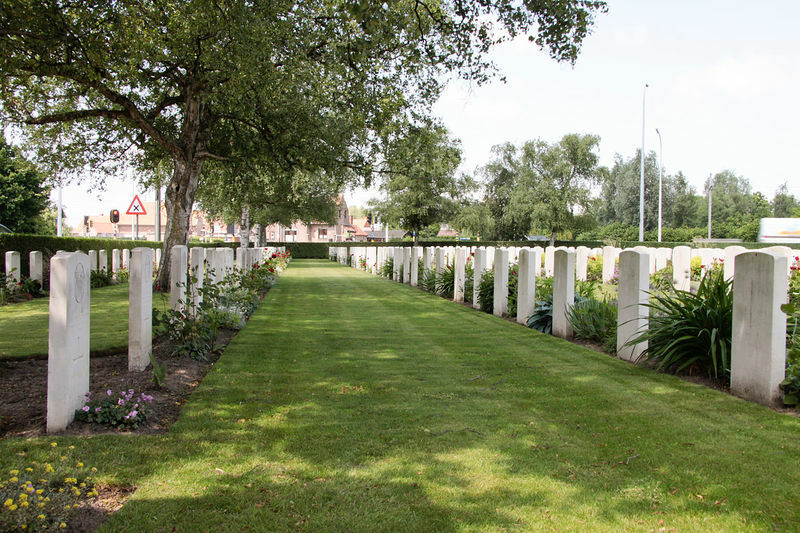 The cemetery is located 300 metres along the Branderstraat on the left hand side of the road, beyond the N38 dual carriageway, which it is necessary to cross. 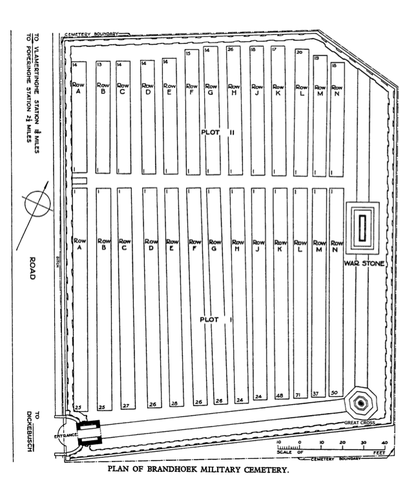 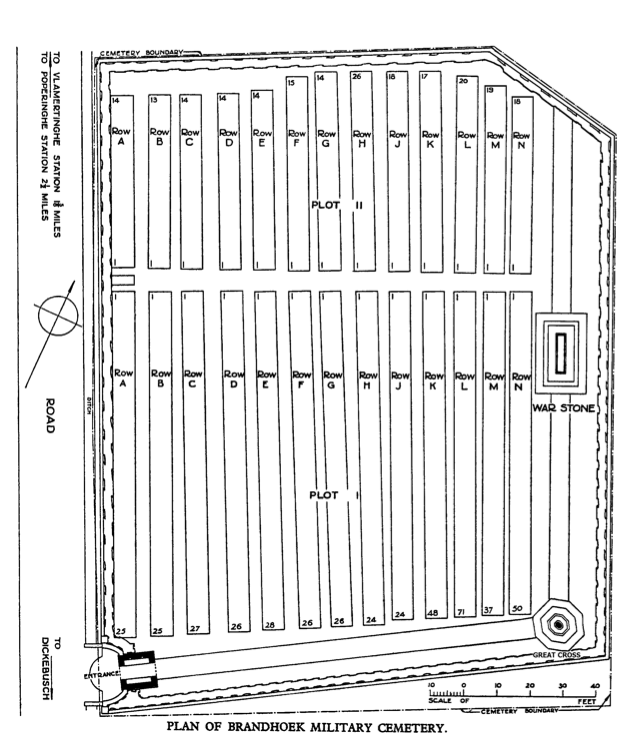 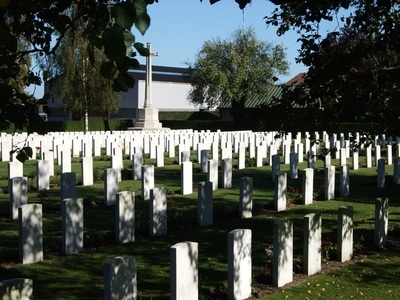 Wheelchair access to this cemetery possible via main entrance. 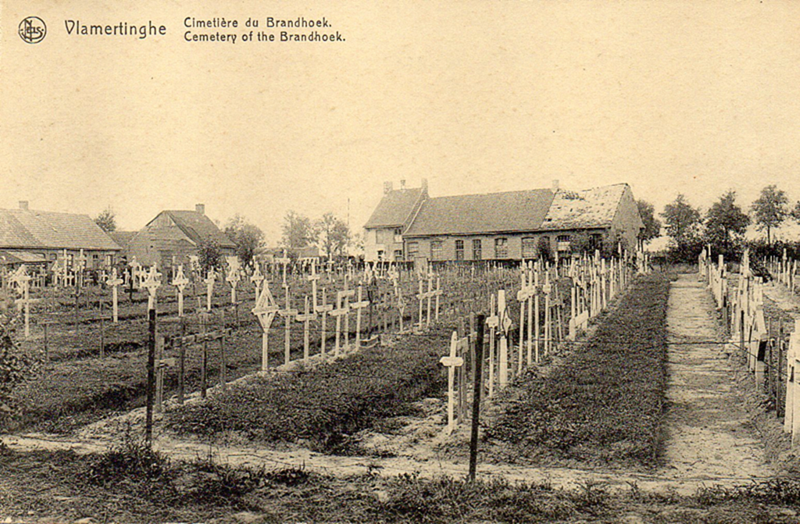 During the First World War, Brandhoek was within the area comparatively safe from shell fire which extended beyond Vlamertinghe Church. 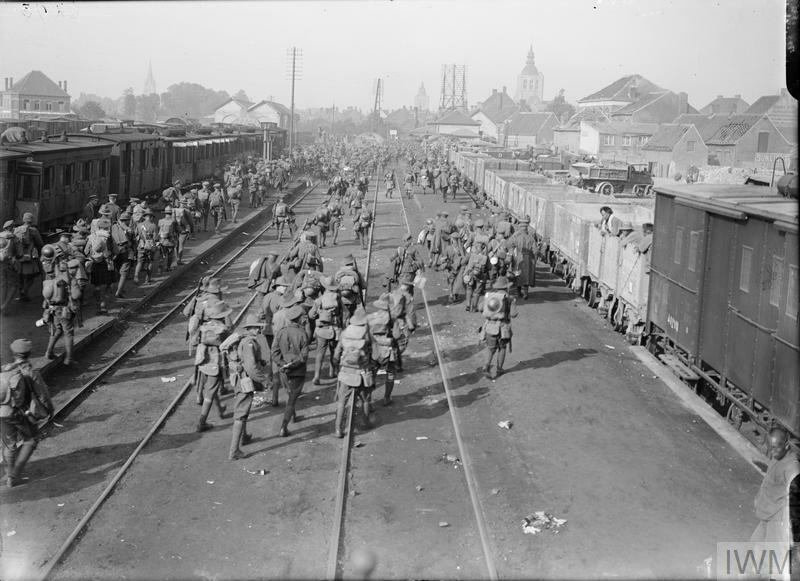 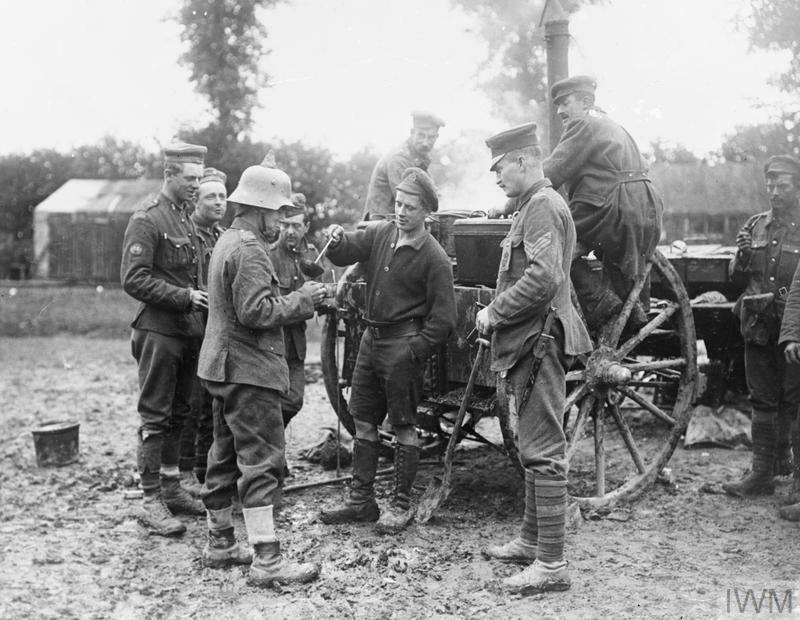 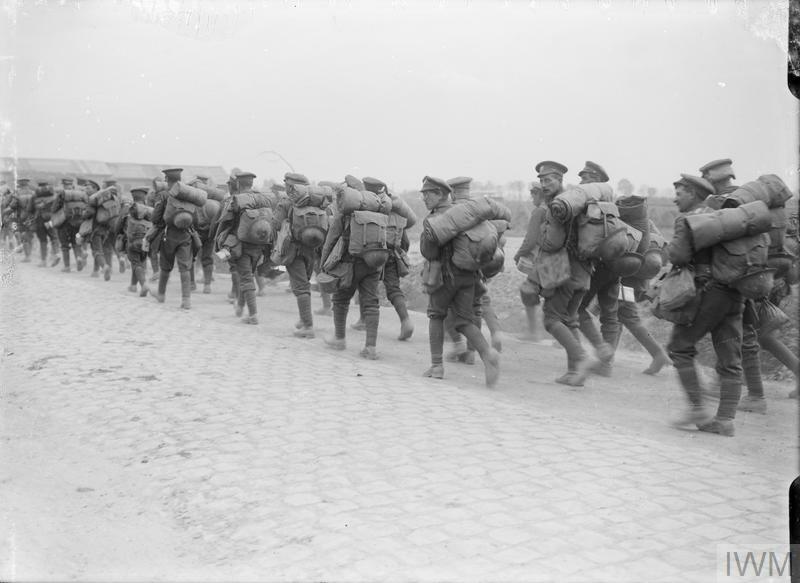 Field ambulances were posted there continuously and the Military Cemetery was opened early in May 1915 in a field adjoining the dressing station. It closed in July 1917 when the New Military Cemetery was opened nearby, to be followed by the New Military Cemetery No 3 in August 1917. 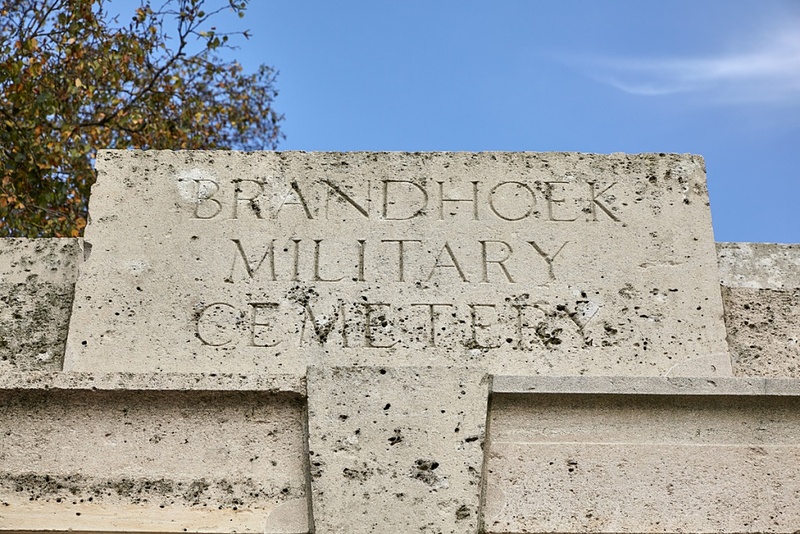 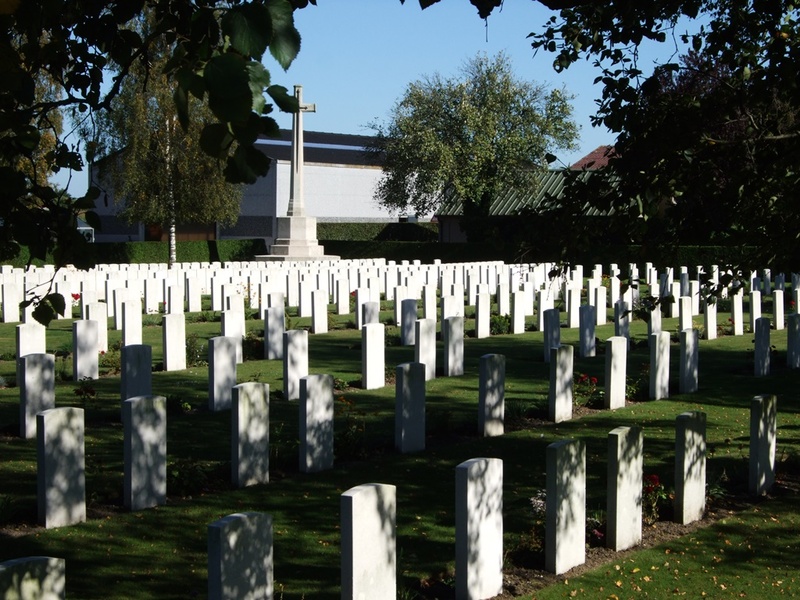 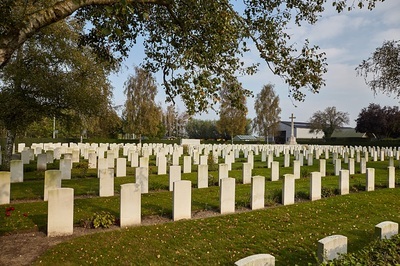 Brandhoek Military Cemetery now contains 669 First World War burials. 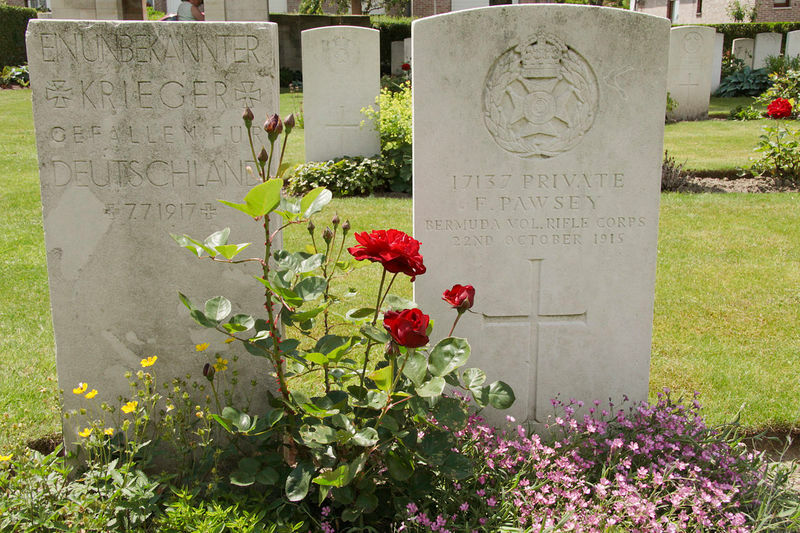 22nd July 1917, aged 29. Son of Ernest Jones Bradshaw and Selina Mary Bradshaw, of Accrington; husband of Catherine Bradshaw, of Accrington, Lancs. 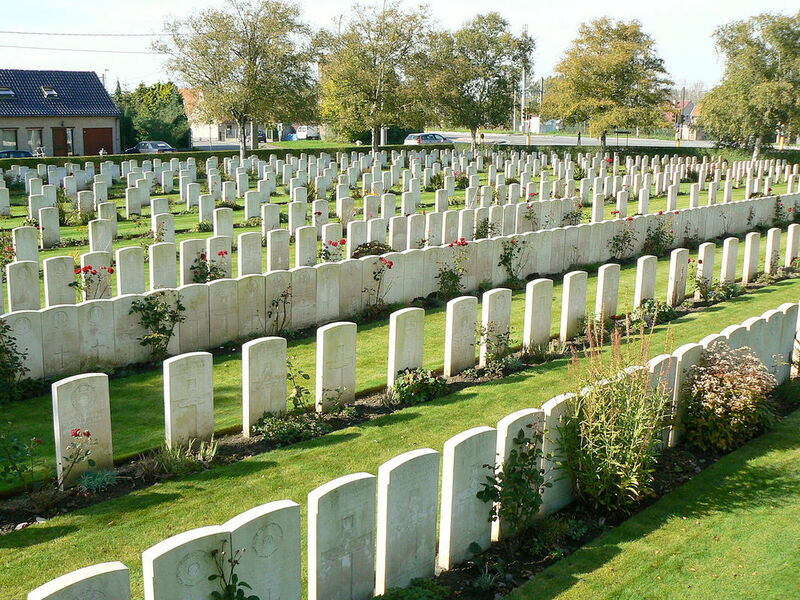 11th July 1917, aged 20. 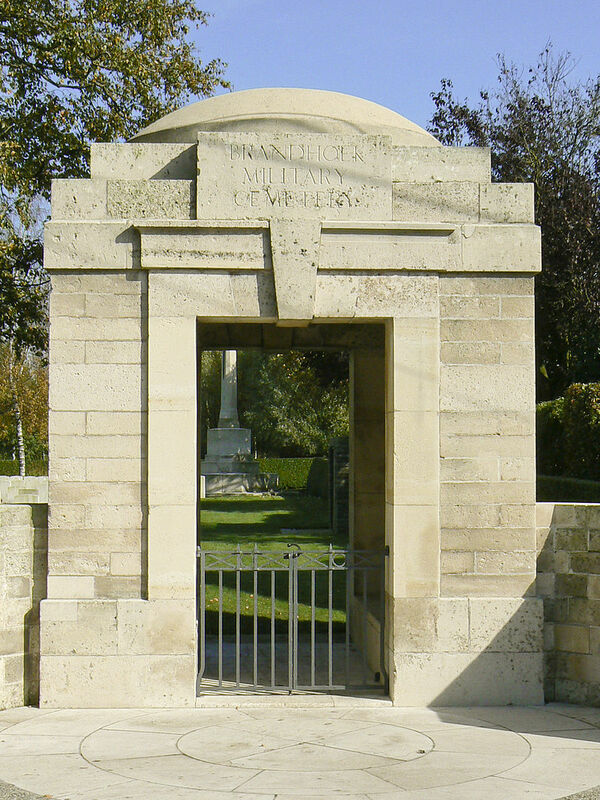 Son of Fredk. 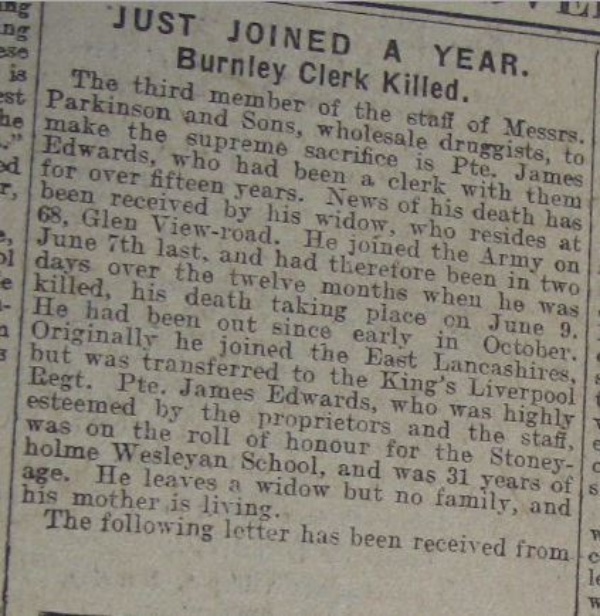 John and Emily Travis, of Burnley. 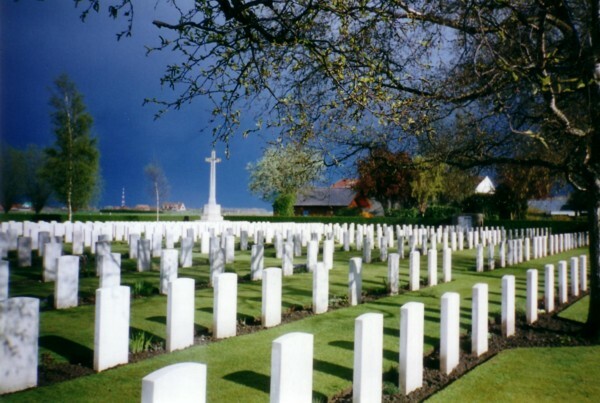 The storm passes over Brandhoek. 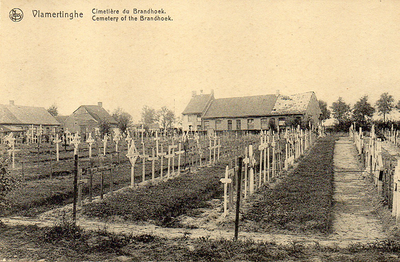 Brandhoek, Belgium, c. June 1917. 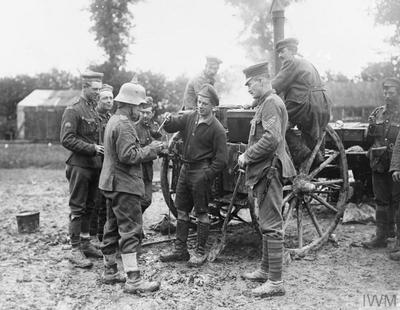 Outdoors group portrait of the officers and Regimental Sergeant Major (RSM) of the 1st Australian Tunnelling Company at a camp near Poperinghe. 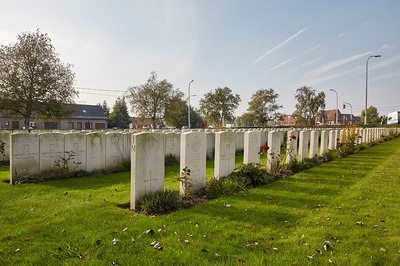 The men are (left to right): back row: Lieutenant (Lt) Cyril Henry Clayton; 2nd Lieutenant (2Lt) Robert John Finlayson, accidentally killed 25th June 1917; Lt John MacDiarmid Royle; Captain (Capt) Donald Yates, MC; Lt Samuel James Lindsay; Lt ? 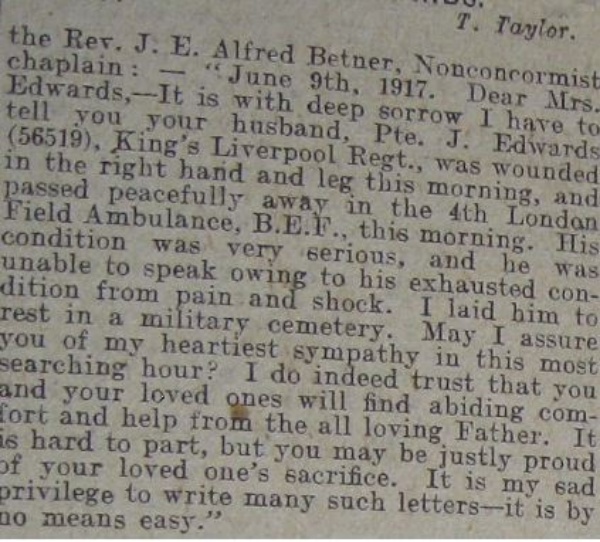 John Edward Armstrong. 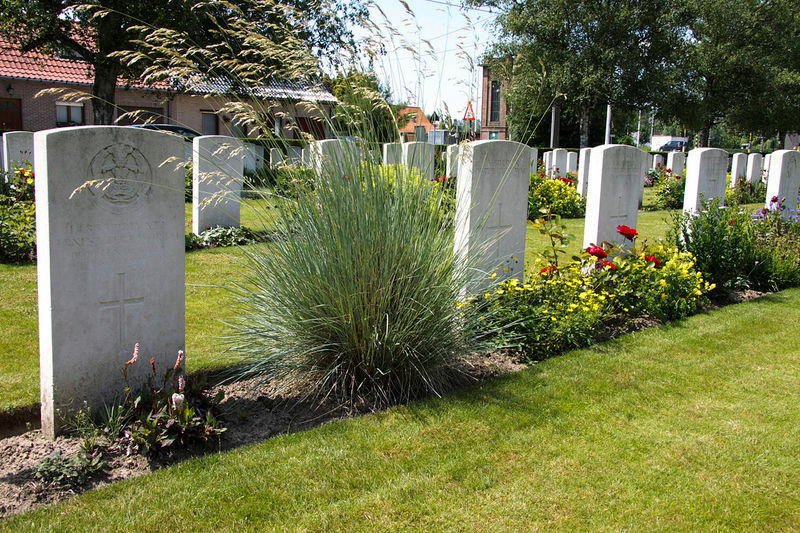 Second row: Lt S.H. Jones; Lt Henry David Hill; Lt Walter Moore; Lt James Bowry; 3521 RSM Walter George Lyne. 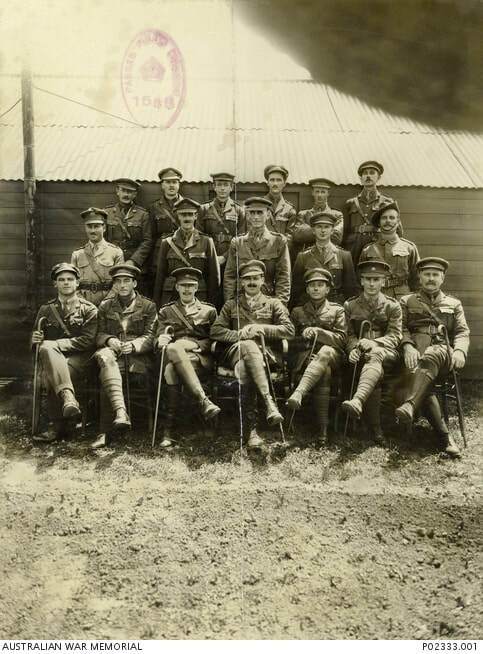 Front row: Capt Ronald Butler Hinder, MC; Capt Robert Adam Clinton, MC; Capt (later Major) Ernest Sleeman Anderson; Major James Douglas Henry, CO, OBE, DSO; Capt Oliver Holmes Woodward, MC and two bars; Lt Hubert Henry Carroll, MC; Lt Willoughby Manton, MC.